overview : Join "Nova" science detectives as they journey to Southeast Asia to reveal details of one of Earth's most destructive volcanic events. 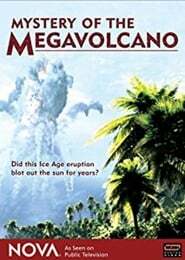 Known as the Toba eruption, this cataclysmic explosion that occurred 75,000 years ago is considered one of the most devastating natural occurrences in history. Watch scientists reconstruct this monstrous catastrophe as they ponder the fragile nature of Earth's crust and the power of the magma within its core.